If you are a passenger in a car involved in an auto accident, can you make a claim and recover damages against either driver? What if you were the operator of a car and the other driver was at fault? The answer to these questions depends upon the state within which you live and where the accident took place. The legal system generally handles auto accident claims in the U.S. in two different ways. It defines who may be sued and also the extent of their liability for damages. The majority of states (thirty-eight in 2012) follow the tort law system, where the driver of the vehicle who is determined to be at fault is held responsible to pay for damages to injury victims. 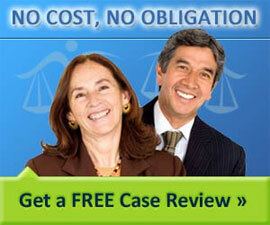 Compensation may include medical expenses, pain and suffering, loss of wages from work and other actual damages. If you live in a state that uses the tort law system and were a passenger in a car involved in an auto accident, you should be able to recover damages against a negligent driver. In tort law, proof of negligence is required. This means proving that the driver did not exercise reasonable care in operating a motor vehicle that an ordinary person would have used under the circumstances. Twelve states use the no-fault system, which is an alternative method to the tort law system. An injured driver or passenger files claims with the insurance carrier covering the vehicle which caused their injuries. As a result, the driver is insured against being sued by other passengers, drivers or pedestrians. The insurance company pays the accident victim for legitimate related medical expenses, lost earnings and incidental costs regardless of who is actually at fault. The reason this law was enacted was to provide quick financial help to accident victims without the need for the usual prolonged court battles and settlement arguments over fault issues and amounts of compensation. Most no-fault states require that a driver carry some combination of the following coverage listed below. No-fault insurance has caps on the amounts it pays so you should check with your insurance agent as to the actual limits of your policy. Pays for the cost of your defense and additional damages that may not be covered in other parts of the policy. A significant injury occurs within a certain number days after the accident which prevents or impairs the victim from performing most of that person’s usual activities (such as work) for a significant period of time. The accident occurs with a non-resident who was in a motor vehicle not registered in the state.